MY STUDIO IS LOCATED INSIDE SALONS BY JC, 3021 SOUTH IH35 #260, ROUND ROCK, TEXAS 78664. WE ARE IN THE ROUND ROCK CROSSING SHOPPING CENTER (TARGET CENTER, NEAR IH35 AND SH45) AND CAN BE FOUND RIGHT NEXT TO STEINMART. I AM IN SUITE #15. TAKE THE EXIT 250 ONTO THE FEEDER ROAD, THEN TURN RIGHT INTO ROUND ROCK CROSSING SHOPPING CENTER. YOU'LL SEE BEST BUY ON YOUR RIGHT. SALONS BY JC IS LOCATED NEXT TO STEINMART. TAKE THE IH35 SOUTH EXIT. AFTER YOU EXIT TX45 STAY ON HS45 HEADING EAST AND CROSS OVER IH35. YOU WILL SEE TARGET IMMEDIATELY ON YOUR RIGHT. TURN INTO THE SHOPPING CENTER. 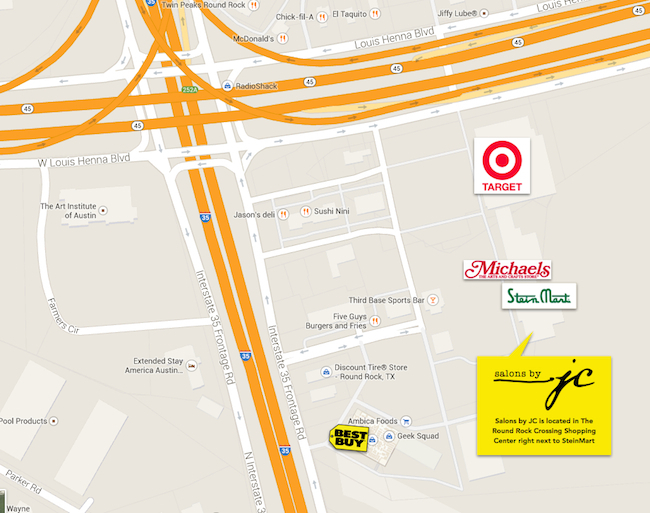 SALONS BY JC IS LOCATED AT THE OPPOSITE END OF THE STRIP CENTER FROM TARGET. TAKE THE HESTER'S CROSSING EXIT. AFTER YOU EXIT IH35 GO THROUGH THE LIGHT AT HESTER'S CROSSING AND CONTINUE TO HEAD SOUTH ON THE FEEDER ROAD. AT THE NEXT LIGHT TURN LEFT ONTO HS45 AND CROSS OVER IH35. YOU WILL SEE TARGET IMMEDIATELY ON YOUR RIGHT. TURN INTO THE SHOPPING CENTER. 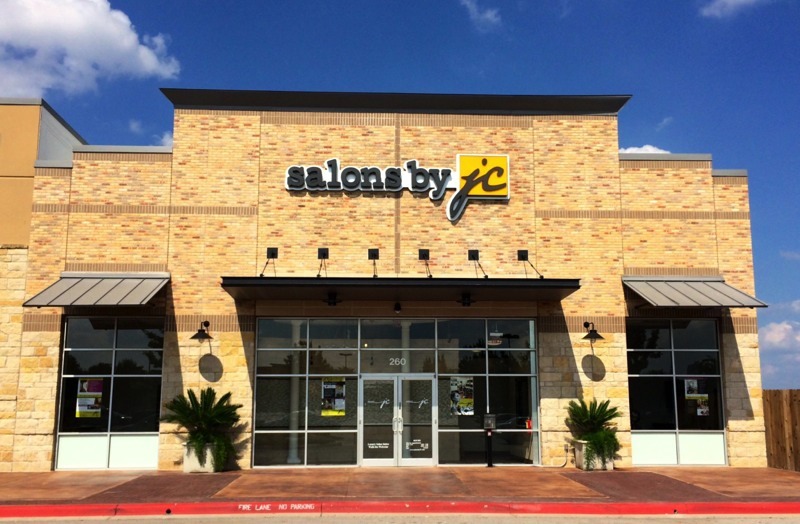 SALONS BY JC IS LOCATED AT THE OPPOSITE END OF THE STRIP CENTER FROM TARGET.